The first ever branch of Mango Tree was opened in Bangkok back in 1994 and at that time it used to serve traditional Thai cuisine with a contemporary touch. 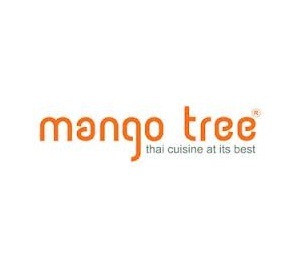 Mango Tree received tremendous response from the inhabitants of Bangkok and tourists, which eventually pushed its owners to open its branches in other parts of the world, including Dubai. As a result of that effort, today Mango Tree has two branches in one of the most prime locations of Dubai where people come to relish authentic Thai delicacies. To prepare these traditional dishes chefs of Mango Tree Dubai use only selected and finest ingredients to give each dish a distinctive and delicate flavor, so the guests would get delicious food for which this international chain of restaurant is famous for. The splendid seating arrangement and lavishly decorated interior makes the charm of eating Thai cuisine at this restaurant even more amazing. Therefore, when it comes to having authentic Thai food in Dubai, people only head towards Mango Tree restaurant. Mango Tree has two branches in Dubai, one is in Mirdif City centre and the other one is located in Down Town area near Burj Khalifa. The Down Town outlet offers lot more things as compared Mirdif branch, as there you can get South East Asian and vegetarian dishes as well. In addition to this, brunch, paired menu and afternoon package style deals are also offered in Down Town branch. This branch also has an outdoor seating area from where guests can view the beautiful sights of Burj Khalifa and The Dubai Fountain. Both branches have different operational hours as well. This international chain of restaurant offers most excellent Thai food that you can get in. Aside from great taste and supreme quality of food, Mango Tree is also known for its huge range of dishes, which is hard to match. The specialties of this bistro include varieties like fish, Canadian lobster, giant prawns and live crabs. All these dishes at Mango Tree are prepared in modern style and are complimented by the wide assortment of regular drinks offered at this bistro, which will surely please every customer. This eatery opens daily but its opening hours vary a bit, as from Sunday to Wednesday it opens from 12:00 am till 10:30 pm and from Thursday to Saturday it operates from 11:30 am till 11:30 pm. 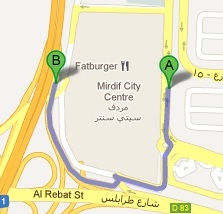 Mirdif City Centre - E 311 – Dubai - United Arab Emirates. Mango Tree Restaurant has no metro station within 2.5 kilometres distance therefore bus and car are the best options in this case to reach Mango Tree Restaurant. Mirdiff City Centre 2 – Dubai will best suit the visitors of the Mango Tree Restaurant in Mirdif City Centre, as it is 1.3 kilometres away from this bistro and by walk it can be reach from this bus station in roughly 17 minutes. All bus users need to do is to head in the south course after reaching this bus station and then go through one roundabout. After which they should take a sharp left and soon they will locate the destination on their left side. Bus number F10 serves this bus stop. See the map for directions.